How much is Miloš Forman Worth? 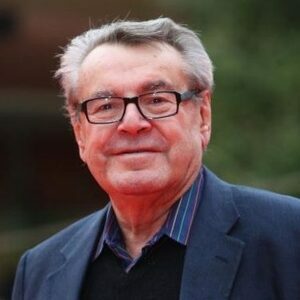 Milos Forman net worth: Milos Forman was a Czech filmmaker who had a net worth of $20 million at the time of his death. Milos Forman was born on February 18, 1932 at Cáslav. Despite the tragic events that have marked his life, Milos Forman will be eternally remembered as one of the greatest directors of all time. In 1940, his father was executed by the Gestapo in the Buchenwald concentration camp, with the false accusation of conspiracy. Two years later, Milos Forman was forced to say goodbye to her mother who was then deported to Auschwitz. Milos became an orphan and started his career as a busboy in a shop managed by his uncle. In his free time, he enjoyed the theater performances of Nachod. 11 years later, he began to know and love the works of Charlie Chaplin, Buster Keaton and John Ford. The war finally was coming to an end and he moved in with relatives at a boarding school in Podebrady. He was expelled from the school for making a joke to his friend. The teenager completed his studies at Prague, where, with the help of a friend, presented the music "The Ballad of Rags". Forman was welcomed to the courses of FAMU, Department of national cinematography. He married Jana Brejchová and divorced some time later. In 1953, he made his debut as an actor in the play "Slovo Delá Zenu". His debut behind the camera takes place instead in the 60s with Laterna Magika II. As a director, he was known for the films "One Flew Over the Cuckoo's Nest", "Amadeus", "Man on the Moon" and "The People Vs. Larry Flynt". Milos Forman died on April 14, 2018 at the age of 86.